Bloomberg BusinessWeek reported today that part-time NASCAR XFINITY Series driver Derek White is being sought as part of the largest tobacco-smuggling bust in North American history. White was among approximately 60 people named by authorities in Quebec and Ontario who are alleged to have purchased leaf tobacco in the United States and smuggled it into Canada for sale on the Kahnawake and Six Nations reserves, without paying the required taxes. The tobacco was then processed into cigarettes, which were then sold at a discount on the native reserves. Profits from those cigarette sales were allegedly used to purchase cocaine. Officials say more than 52,800 kilograms of tobacco were seized in a series of raids Wednesday, accounting for more than $409 million in lost tax revenue. In addition, 836 kilos of cocaine, 21 kilos of methamphetamine, 100 grams of fentanyl and 35 pounds of marijuana were also seized. 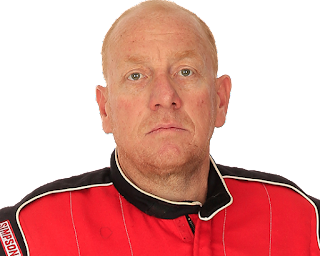 Surete de Quebec – the Quebec provincial police force – has not confirmed that the Derek White they are seeking is, in fact, the NASCAR driver. Speaking on the condition of anonymity, other officials say the NASCAR driver is among those being sought, accused of being a top-ranking member of the smuggling ring. The 45-year old White, a resident of the Kahnawake reserve, entered a Dodge owned by veteran campaigner Carl Long in a pair of NASCAR XFINITY Series races this season, failing to qualify for the season-opener at Daytona and finishing 36th at Las Vegas Motor Speedway. Last July, he qualified 42nd and finished 39th in a NASCAR Sprint Cup Series race at New Hampshire Motor Speedway; his only career start in that series. Long whose MBM (Motorsports Business Management) team supplied the cars driven by White, declined to comment to CATCHFENCE.com until more details become available. A spokesperson for NASCAR said the sanctioning body is also gathering information. Melissa Joan Hart, star of God’s Not Dead 2 will lead the field to green as the Honorary Pace Car Driver in Sunday’s STP 500 NASCAR Sprint Cup Series race at Martinsville Speedway. “I am beyond excited to be the Honorary Pace Car Driver for STP 500 at Martinsville,” said Hart. “I’ve done some racing in the past, but this will be the first time that I’ve had the chance to drive on a NASCAR track. To be leading the field to green is really going to be awesome. Having made her first national commercial at age four, Hart is now a veteran of television, film and theater. She is best known for her starring roles in Sabrina the Teenage Witch, Clarissa Explains It All, and Melissa & Joey. On the big screen, Hart starred in the romantic comedy Drive Me Crazy, for which she won a Nickelodeon Kids Choice Award and she made a memorable appearance in the graduation night comedy Can’t Hardly Wait. In March 2016, Hart and husband Mark Wilkerson announced the launch of a new girls’ clothing line called Queen of Harts, available now on their web site, kingofharts.com. Their new girls’ line will join its American-inspired “brother” line, King of Harts, which came to market in 2014 for boys. The debut collection of Queen of Harts focuses on graphic tees designed by talented artists. It was recently announced that Melissa and Paula Hart’s Hartbreak Films will be collaborating with 44 Blue Productions to develop the docuseries, Sweet Harts. The docuseries will follow the Hart family and its journey as they open their dream dessert shop. The weekend starts with Virginia Lottery Pole Day on Friday and continues with the Alpha Energy Solutions 250 Camping World Truck Series race on Saturday. The STP 500 is set for this Sunday. Tickets start at $55, and are on sale now and can be purchased by calling 877.RACE.TIX or online at www.martinsvillespeedway.com. Texas Motor Speedway unveiled its own beer; No Limits Checkered Past craft beer, during today's annual Media Day at Gilley's Dallas. 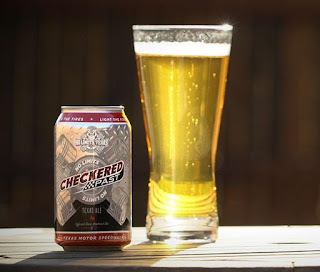 Audacity Brew House in nearby Denton, Texas created the No Limits Checkered Past session craft beer that will be sold at all major events at the Fort Worth speedway, as well as through retailers in the Dallas/Fort Worth Metroplex. No Limits Checkered Past will make its official debut during the April 7-9 Duck Commander 500 weekend at Texas Motor Speedway. Texas Motor Speedway President Eddie Gossage and Audacity Brew House co-owner Scott Lindsey unveiled No Limits Checkered Past by "opening" an oversized, 55-gallon mock can during Media Day festivities. Guests also had an opportunity to sample the craft beer as a sneak preview. "It's a beer that we can all enjoy," Lindsey said. "Everyone from the most experienced craft beer drinker to first-time tasters will appreciate the flavor. Once fans have tasted it, I know they will be coming back for more." "We could have named any number of brands 'The official beer of Texas Motor Speedway,' but we decided to produce our own with the folks at Audacity Brew House," Gossage said. "We have a certain reputation here in 'No Limits, Texas,' and felt we could best develop a craft beer to represent us. We didn't license some beer brand, we created it. The fans will love it, too." No Limits Checkered Past will become the 12th beer on Audacity Brew House's lineup of popular craft beers. Audacity Brew House, which began operation nearly a year and a half ago, has exploded onto the popular craft beer scene after becoming Denton's first brewery when it opened in 2014. The company, which operates out of a 5,000-square foot warehouse with adjacent taproom, will expand to include an 8,000-square foot venue later this year called Audacity Brew House at Travelstead. The new facility, located near the historic downtown Denton Square, will include a restaurant and outdoor entertainment area. The increased space will allow brew master and co-owner Doug Smith to brew up to 10,000 barrels annually. Talladega Superspeedway announced today that the iconic country duo Big & Rich, featuring Cowboy Troy, will perform at Talladega Superspeedway’s traditional Saturday Night Concert on April 30 as part of the track’s GEICO 500 race weekend. After a day of epic racing with the Talladega 300 NASCAR XFINITY Series, the ‘Dega faithful will be treated to a grand time with Big & Rich for one of the most anticipated Saturday Night Concerts ever at NASCAR’s Most Competitive track. These hit songs and many more will have NASCAR’s Party Capital reveling well into the night as Big & Rich will dazzle and impress fans of all genres with their own forms of rock, country, and rap. How does one go about witnessing this mega event? The concert is free to anyone who has a ticket to Sunday’s GEICO 500 NASCAR Sprint Cup Series race, in which Dale Earnhardt, Jr. is the defending champion. 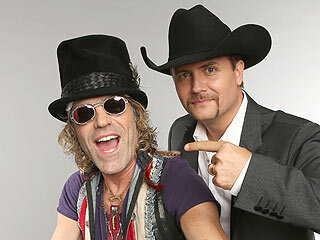 America's Technicolor cowboys, John Rich and Big Kenny Alphin are first-rate musicians, songwriters, producers and entertainers. Together, they are one of the most original musical forces ever unleashed on the industry. 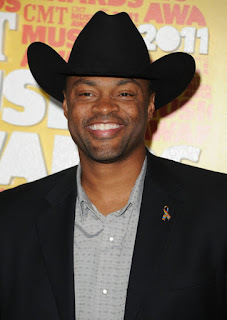 Exploding into the public consciousness in 2003 as true country music game changers, they released epic songs like "Comin to Your City," and "Save a Horse (Ride a Cowboy)” that elevated the group to superstar status. Their music displays incomparable range, with well-crafted songs about love, loss, patriotism and social issues that have impacted many people all across the world. Their partner in crime, Cowboy Troy, will be right there as well, as the self-proclaimed “hick-hop” artist continues to amaze the masses with his own brand of southern, country-fried rap that has turned heads for years. The Talladega weekend kicks Friday with a full slate of on-track activity which includes practice sessions for the Talladega 300 and GEICO 500 plus practice, qualifying and the drop of the green flag of the General Tire 200 for the ARCA Racing Series Presented by Menards. The General Tire 200 is set for a 5:00 pm. (CDT) start. Friday night the track will host its fifth “Big One on the Blvd” parade, featuring NASCAR drivers and loads of fun, at 7:30 pm. Saturday’s activities kick off at 9:30 am (CDT) with NASCAR XFINITY and Sprint Cup Series qualifying, followed by the start of the Talladega 300 at 2:00 pm. Later in the evening, the Saturday Night Infield Concert featuring Big & Rich will take place at 7:00 pm. Sunday’s GEICO 500 gets underway at 12:00 pm. For ticket information for all three days of activities, log onto talladegasuperspeedway.com or call 1-877-Go2-DEGA. Cole Custer will compete in five NASCAR Xfinity Series events this season for JR Motorsports, driving the No. 5 Chevrolet. Haas Automation will sponsor Custer in four of the five races, with Cessna receiving primary branding at Kentucky Speedway. The 18-year-old Californian will make his debut in the No. 5 Chevrolet next month at Richmond International Raceway (April 23) in a fourth entry for JRM. Custer then transitions to the No. 88 Chevrolet at Charlotte Motor Speedway (May 28) and Kentucky Speedway (July 8). He’ll return to the seat of the No. 5 at Charlotte Motor Speedway (Oct. 7) and Homestead-Miami Speedway (Nov. 19). 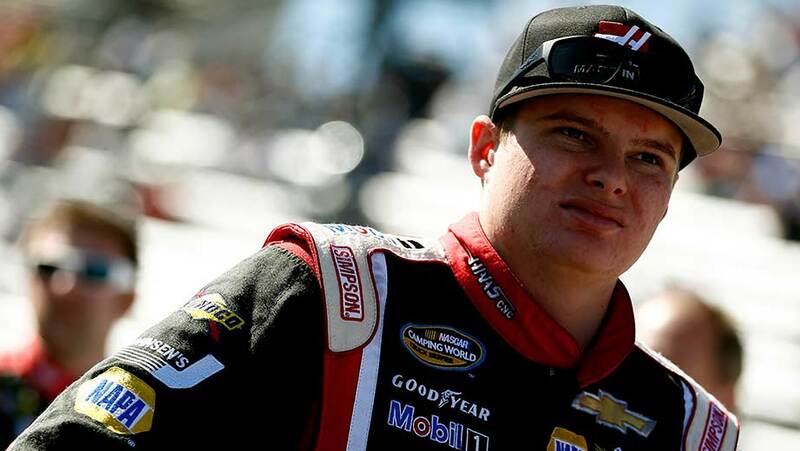 After spending 2015 competing part-time in the NASCAR Camping World Truck Series with JRM, Custer embarked on his first full-time season in 2016. In 12 starts for the team, Custer has amassed one win at Gateway Motorsports Park, two Top-5 and four Top-10 finishes. With two career NCWTS victories to his credit, Custer stands as the youngest winner in NASCAR national tour series history, accomplishing the feat in 2014 at New Hampshire Motor Speedway. By virtue of a pole in the NCWTS race at Martinsville Speedway last fall with JRM, he became the youngest pole winner in the track’s history. 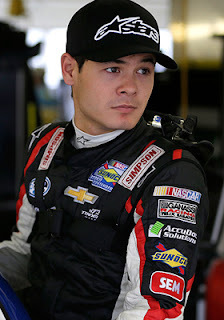 Kyle Larson will do double duty this weekend at Martinsville Speedway, wheeling a McDonald’s-sponsored Chevrolet for GMS Racing in Saturday’s Alpha Energy Resources 250, in addition to his regular Chip Ganassi Racing ride in Sunday’s NASCAR Sprint Cup Series STP 500. "I'm looking forward to my first Truck Series start at Martinsville,” said Larson this week. “It's great to have McDonald's on board. They are a great partner with Chip Ganassi Racing and they have some really cool ties to GMS Racing. I've done pretty good in the few Truck Series races I've run, so I'm excited to see what we accomplish this weekend." Larson will drive one of four GMS Racing Chevrolets in Saturday’s race, teaming with Johnny Sauter, Spencer Gallagher and newcomer Kaz Grala. This is the first time the Statesville, NC-based team has fielded four Trucks in the same race. 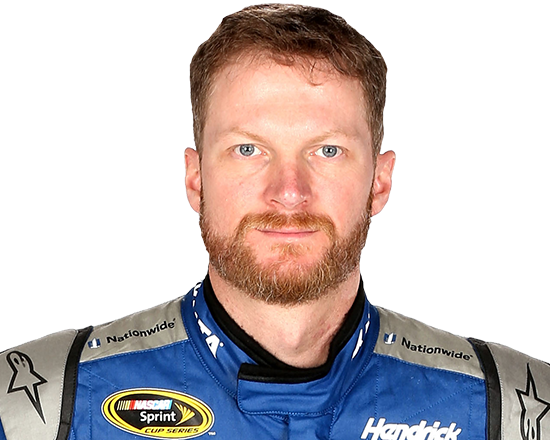 Dale Earnhardt Jr. revealed Saturday that he will donate his brain for concussion research. The 41-year old Earnhardt is no stranger to concussions, having sustained two in a six-week span during a 2012 tire test at Kansas Speedway, followed by a major crash at Talladega Superspeedway that sidelined him from competition for two weeks in the postseason Chase. He also sustained a concussion at Auto Club Speedway in 2002, but continued to race without disclosing the injury. Earnhardt has shown no ill effects from his concussions, but in light of recent revelations surrounding Chronic Traumatic Encephalopathy in athletes involved in high-impact sports, Earnhardt says he will donate his brain for post-mortem examination. Last week, former Oakland Raiders George Atkinson, George Buehler and Art Thoms announced that they would also donate their brains to the Concussion Legacy Foundation in honor of Hall Of Fame teammate, Ken Stabler, whose autopsy showed evidence of Chronic Traumatic Encephalopathy. CTE – which can cause memory loss, depression, mood swings and issues with anger-management -- can only be diagnosed posthumously. Research into the possible link between concussions and degenerative brain diseases like CTE is still in its infancy. With the 2016 NASCAR season off and running, Motor Racing Network is keeping pace with a full lineup of exclusive digital content streamed weekly at MRN.com. Whether it’s weekends at the track or weekdays at www.MRN.com, the network provides one of the most complete sources of motor sports news with a comprehensive schedule of online programming covering NASCAR, NHRA drag racing, short-track competition and the World of Outlaws Craftsman Sprint Car Series. Each week begins with “MRN Motorsports Monday.” The one-hour show, which streams from 12 to 1 p.m. (ET), recaps the weekend’s NASCAR competition. Co-hosts are MRN’s Woody Cain and Joey Meier, race spotter and pilot for 2012 Sprint Cup Series champion Brad Keselowski. Tuesday’s mid-day time slot at MRN.com is occupied by “Winged Nation” featuring co-hosts Steve Post and Kendra Jacobs. It’s an in-depth look at winged sprint car racing – delivering news, race results, behind-the-scenes information, interviews and feature stories with the top drivers from some of the most legendary dirt tracks in the country. “Winged Nation” also can be seen each Saturday on MAV-TV, at 9:30 a.m. and 12:30 p.m. (ET). Dirt-track action remains the focus of Tuesday’s MRN.com schedule with “Slingin’ Dirt,” streaming from 1-2 p.m. with hosts David and Ashley Stremme. They update listeners on all the action in Dirt Late Models, Big Blocks and Modifieds; and preview the biggest races coming up on the schedule. 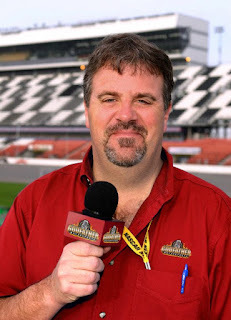 Each Tuesday evening, veteran MRN anchor Eli Gold hosts “NASCAR Live,” a weekly conversation with the top drivers and biggest newsmakers from NASCAR’s three top national series: Sprint Cup, XFINITY and Camping World Trucks. It airs from 7-8 p.m., and streams live at MRN.com and on the MRN App. “NASCAR Coast to Coast,” streams each Wednesday from 12 to 1 p.m. (ET). Hosted by Kyle Rickey and Buddy Long, the focus here is on the K&N Pro Series, one of NASCAR’s top developmental tours for the stars of tomorrow, and the NASCAR Whelen Modified and Southern Modified Tours. Veteran MRN producer Marty Hough teams up with Top Fuel driver Doug Herbert to host “Straight Line” each Thursday from 12 to 1 p.m. It’s a weekly pass through the National Hot Rod Association’s Mello Yello Drag Racing Series. And if you’re “hungry for history,” then Thursday is your day at MRN.com. “Throwback Thursday” takes the green flag at 1 p.m. with a classic race broadcast from the Motor Racing Network archives. MRN’s online content is produced by Craig Moore and Darrell Smith, and is available for download at www.MRN.com upon the conclusion of each week’s live stream. The network’s complete schedule of exclusive online programming also can be heard live on the MRN App. In addition to its award-winning coverage of NASCAR races, Motor Racing Network streams live coverage of Sprint Cup Series practice and qualifying from 12 International Speedway Corporation-owned tracks, Pocono Raceway and Dover International Speedway. MRN’s 2016 slate of over-the-air race broadcasts features 71 live events from 27 venues. The schedule opened last month with Speedweeks from Daytona International Raceway. It will conclude in December with coverage of the annual Sprint Cup Series Awards in Las Vegas. NASCAR Sprint Cup Series drivers Danica Patrick and Kyle Busch were fined and placed on NASCAR probation today, for behavioral violations last weekend at Auto Club Speedway in Fontana, Cal. Patrick was fined $20,000, placed on NASCAR probation for the next four Sprint Cup Series point-counting races for approaching the hot race track in the aftermath of a crash during Sunday’s Auto Club 400. Patrick climbed from her heavily damaged racer and walked onto the apron of the track to gesture at Kasey Kahne, after Kahne turned her into the outside retaining wall. Patrick’s penalty was identical to the one assessed to Trevor Bayne for violating the same rule last season at Dover. Busch, meanwhile, was fined $10,000 and placed on NASCAR probation for the next four Sprint Cup Series races for failing to honor mandatory post-race pit road and Media Center obligations following Saturday’s Xfinity Series race. 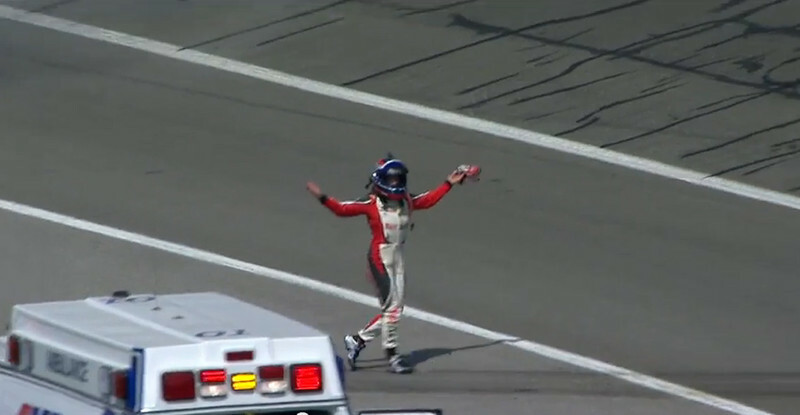 The Joe Gibbs Racing driver was angry over a non-call on the final lap of the race, when his No. 18 Toyota blew a left-front tire while leading. Race officials chose not to throw a caution flag – which would have ended the race with Busch the winner – prompting his to decline all post-race media interviews. Busch also made a series of comments critical of NASCAR on his in-car radio immediately following the checkered flag, saying, “Debris all over the race track and they don’t throw a yellow. I’m just so pleased with you NASCAR. Thanks. Y’all are awesome. Fixing races.” He was not sanctioned by NASCAR for those comments, despite a section in NASCAR’s new 2016 Code of Conduct that calls for fines of $10,000 to $50,000 and/or probation for comments disparaging the sport and/or NASCAR's leadership. Busch’s fine is the first assessed by NASCAR for failing to honor media commitments since 2007, when former series champion Tony Stewart was sanctioned for a similar post-race violation. In addition to the Patrick and Busch penalties, NASCAR assessed written warnings to six Sprint Cup Series teams. The No. 19 and No. 20 Joe Gibbs Racing teams, along with the No. 3 and No. 27 teams fielded by Richard Childress Racing and the No. 21 Wood Brother Racing team received warnings for various pre-qualifying and pre-race body template and Laser Inspection Station violations. The No. 95 Circle Sport/Leavine Family Racing entry received a written warning for a rear trailing arm that did not meet specifications. 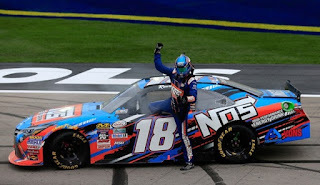 Kyle Busch is unhappy with NASCAR today, roughly 72 hours after a no-call by the sanctioning body at California’s Auto Club Speedway deprived the Joe Gibbs Racing driver of what could have been his fourth consecutive NASCAR Xfinity Series victory of 2016. For those who missed it, Busch dominated Saturday’s race, until an exploding left-front tire on the final lap forced him to limp his way home, losing the lead (and the win) to Austin Dillon, literally within sight of the checkered flag. Busch was upset with NASCAR after the race, believing officials should have displayed the yellow flag for debris from his exploding tire, thereby ending the race with him as the winner. Those are fightin’ words in the world of sports, where the 1919 Chicago Black Sox scandal threatened to destroy “America’s Game” and allegations of betting impropriety continue to make the great Pete Rose persona non grata at the Baseball Hall of Fame. It’s one thing to say the umpire blew the call, and quite another to accuse the referee of intentionally manipulating the outcome of games. Busch’s allegations were clearly a case of the latter, and will almost certainly result in a substantial fine when NASCAR makes its weekly penalty announcement on Wednesday afternoon. NASCAR made a judgment call on the final lap of Saturday’s race, just as they did during Busch’s three consecutive NXS victories in Atlanta, Las Vegas and Phoenix. Why, then, did Busch wait for his first loss of the 2016 campaign to air his race-fixing laundry? The answer is simple. Busch’s comments were made because he was angry about losing a race that should have been his. The 2015 Sprint Cup Series champion has a ferocious, competitive nature that is well-known, both in and out of the sport. His refusal to accept anything less than first place has helped make him a champion in NASCAR’s premier division, and the all-time winner in the Xfinity ranks. Unfortunately, it has also manifested itself in periodic outbursts of boorish post-race behavior. Anger and disappointment are powerful motivators. They are not, however, good excuses. NASCAR didn’t blow Kyle Busch’s tire Saturday. It just happened, as it happens to racers all across the nation, every single week. NASCAR responded to that exploding tire by doing what they always do; making an instantaneous decision about whether the race should continue uninterrupted, or be ended prematurely with a yellow flag. You may agree or disagree with the decision NASCAR made Saturday. Kyle Busch clearly disagreed. But disagreeing with a call does not give Busch – or anyone else -- the right to impugn the umpire and slander the integrity of the sport. 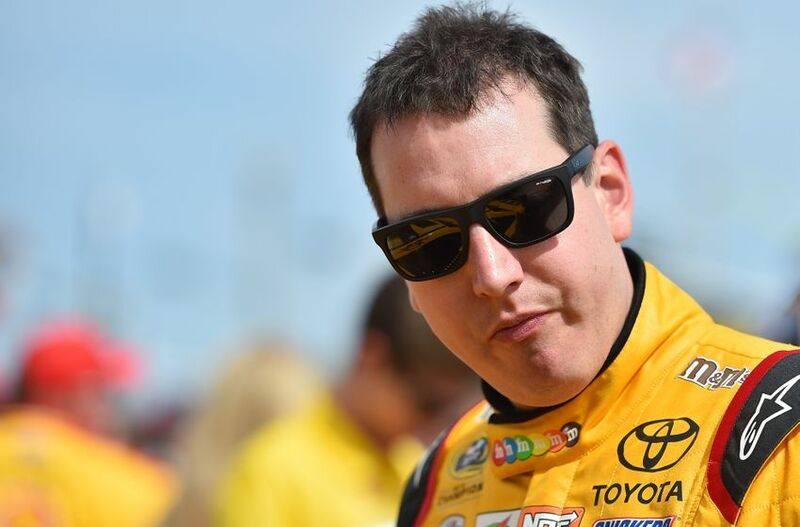 Like the rest of us, Kyle Busch can say and do anything he wants, if he’s willing to face the consequences. Call your boss a jibbering idiot if you like. Cuss out that Highway Patrolman when he pulls you over for speeding. Just be prepared for the consequences that almost certainly will follow. On this matter, NASCAR’s rulebook is plainly written, in black and white. Its 2016 Code of Conduct calls for fines of between $10,000 and $50,000 and/or probation for “comments disparaging the sport and/or NASCAR's leadership.” Busch’s comments were clearly disparaging of both the sport and those who run it, which explains the five-figure check he will almost certainly be cutting in the next few days. That’s called personal accountability, and it’s the price you pay for venting your spleen in a flickering moment of anger. Words have power. And if you say it, you own it. 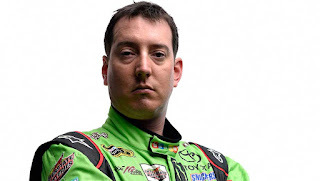 NASCAR is not Kyle Busch’s sport. It belongs to all of us; you, me, every driver, owner, crew chief and fan. And when someone says or does something that damages our sport, we all suffer. Freedom of expression is a wonderful thing, but your right to swing your arms ends at the tip of my nose. We deserved to spend this week reveling in a spectacular Fontana Sprint Cup Series finish. Instead, we’ve spent much of the last two days listening to an endless series of light-thinkers tell us how NASCAR manages to “fix” races, while somehow keeping it secret. They know it’s true. The champion of the sport told them so. And that’s a crying shame, for all of us. Great racers come and go with time. They retire from the sport and eventually pass away. NASCAR, though, lives on, just as it did without Red Byron, the Flock Brothers or Raymond Parks, without Tim Richmond, Davey Allison, Dale Earnhardt or Buddy Baker. The late Bill France, Sr. had a way of bringing racers back to reality after they became overly enamored with themselves. “We’re going to be here next week,” he’d say. “But you might not.” It’s a valuable lesson that we would all do well to keep in mind. No single player is more important than the game, and it is our duty – all of ours – to hand the sport off to the next generation in better shape than we received it. Comments like Busch’s damage the sport, and seem to place the player far ahead of the game. 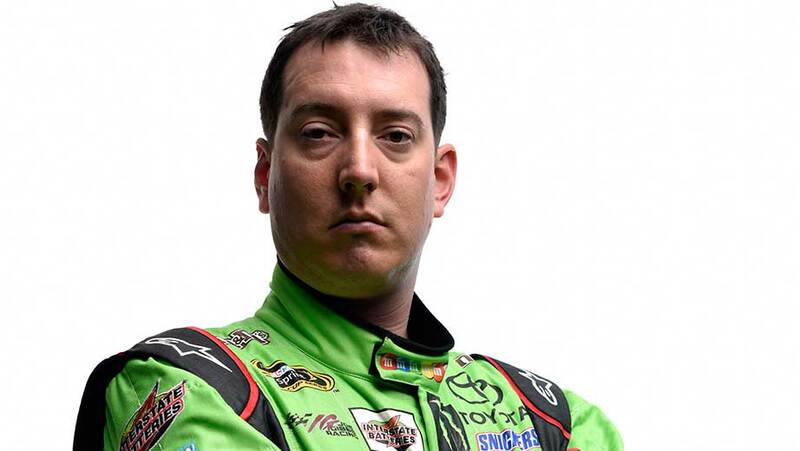 Yes, Kyle Busch is angry at NASCAR today. He’ll probably be even angrier tomorrow, when the sanctioning body hands down that five-digit fine for his poorly chosen words. But Busch is not the biggest loser in all this. 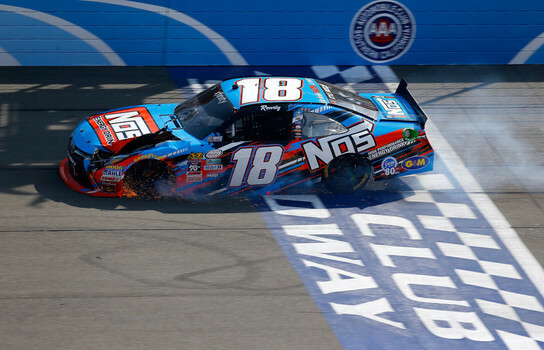 Kyle Busch and Danica Patrick could be in line for NASCAR penalties this week, in the aftermath of a pair of incidents at Auto Club Speedway. Busch declined to honor mandatory post-race media obligations following Saturday’s Xfinity Series race, where he suffered a blown left-front tire on the final lap, losing the race to Austin Dillon. The defending NASCAR Sprint Cup Series champion was upset with NASCAR's decision not to throw a caution flag for the incident; a decision that would have frozen the field and awarded him the win. In addition to refusing to take part in post-race media sessions, Busch reacted angrily on his in-car radio after the event, accusing the sanctioning body of “fixing races." NASCAR's new 2016 Code of Conduct prescribes fines of $10,000 to $50,000 and/or probation for comments disparaging the sport and/or NASCAR's leadership. Officials said after the race that they elected to "let (the race) play out,” since Busch continued to race on the exploded tire and they saw nothing that posed an imminent safety risk. Patrick, meanwhile, faces possible sanctions for approaching the racing surface under caution, following a crash with Kasey Kahne on Lap 121 of Sunday’s Auto Club 400. Kahne, running a lap down after an unscheduled pit stop, appeared to hook the right-rear corner of Patrick’s Chevrolet after being passed, sending Patrick hard into the outside retaining wall. Patrick climbed quickly from her damaged machine and walked to within four feet of the racing surface before gesturing at Kahne as he rolled past under caution. 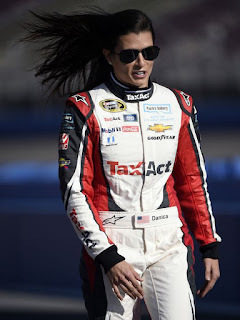 Her response was a violation of Section 10.4.2.1 of the NASCAR Rulebook, which states "At no time should a driver or crew member(s) approach any portion of the racing surface or apron. At no time should a driver or crew member(s) approach another moving vehicle." NASCAR Executive Vice President and chief racing development officer Steve O’Donnell told Sirius/XM NASCAR Radio’s The Morning Drive today that the sanctioning body is examining what happened, to determine whether a penalty is justified. "That's one of the things we will be reviewing,” he said. “That's part of having all the video tape. We want to take some time ... there's a lot going on during a race. Coming back from the West Coast, we've got to take the time to evaluate all that. Kahne was summoned to the NASCAR transporter after the event to give his view of the crash. He took blame for the incident, but insisted it was unintentional. 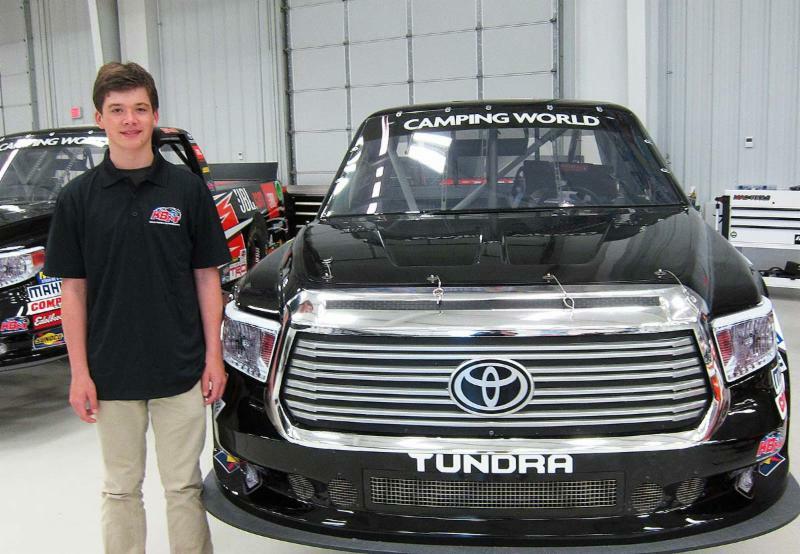 Second-generation driver Harrison Burton will make his NASCAR Camping World Truck Series debut for Kyle Busch Motorsports on Oct. 29 at Martinsville Speedway, driving the No. 18 DEX Imaging/Konica Minolta Toyota in the Alpha Energy Solutions 200. Burton, the son of 21-time NASCAR Sprint Cup Series winner and current NBC Sports broadcaster Jeff Burton, is currently competing for Rookie of the Year honors in the NASCAR K&N Pro Series East. He was a three-time USAC Quarter Midget national champion before moving into Late Models, where at the age of 11 he captured his first pole in the Limited Late Model division at Ace Speedway in Elon, N.C. A year later,, he graduated to Pro-Late Models and won two races at Dillon (S.C.) Motor Speedway. At age 14, Burton became the youngest driver to win a NASCAR Whelen Super Late Model event, when he visited Victory Lane twice during the World Series of Asphalt Stock Car Racing at New Smyrna (Fla.) last February. In May, he picked up his first Southern Super Series win at Mobile (Ala.) International Speedway, and in October, he became the youngest driver to compete in the NASCAR K&N Pro Series West, at All American Speedway in Roseville, Calif. In addition to his full-time schedule in the K&N Pro Series East this season, Burton will compete in numerous Super Late Model events around the country for his family-operated team. The 15-year-old driver returned to the World Series of Asphalt Stock Car Racing at New Smyrna this year and finished second in the Super Late Model point standings, after collecting two wins and three Top-3 finishes in six races. He also posted a runner-up finish at Crisp Motorsports Park in Cordele, Ga., in January, against a field that included KBM owner-driver Kyle Busch and KBM Truck Series driver William Byron. "Harrison is mature beyond his age on the track and it's impressive the resume he has already put together at the age of 15," Busch said. "He comes from a racing family and doesn't have to look very far to find a role model that can show him what it takes to be successful both on and off the track. We've been fortunate the last few seasons to get KBM to the point where we can provide young drivers an opportunity to grow in the sport and we're excited to be a part of Harrison's continued development. It wouldn't be possible without sponsors like DEX Imaging and Konica Minolta who see the value in getting involved with a young driver and growing alongside him as he moves up the racing ladder." "I am proud to have Konica Minolta join our DEX Imaging team for my Truck Series debut with Kyle Busch Motorsports," Burton said. "It means a lot to have these sponsors onboard for the next step in my racing career and making it possible for me to be able to race for the marquee team in the series. It's a big step, but we have been working really hard to prepare ourselves for everything that's to come this year and we're ready." "We are excited to welcome Konica Minolta to our racing team as we continue our long standing partnership with Harrison," said Dan Doyle, Jr., President and CEO of DEX Imaging, a loyal sponsor of Burton since 2013 and the nation's largest independent dealer of Konica Minolta document management solutions. "He is a wonderful complement to our company. 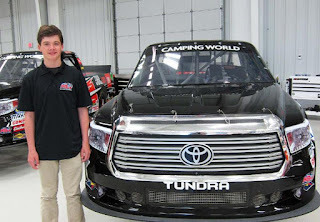 Our team is thrilled to be on board as he makes his debut into the NASCAR Camping World Truck Series later this year." Kyle Busch did it again Sunday at Phoenix International Raceway, leading 175 of 200 laps on his way to victory in the NASCAR Xfinity Series Axalta 200. Busch has made a cottage industry out of thumping the Xfinity Series regulars in recent seasons. Saturday’s win was his ninth in 20 career PIR starts and the record 79th of his career. 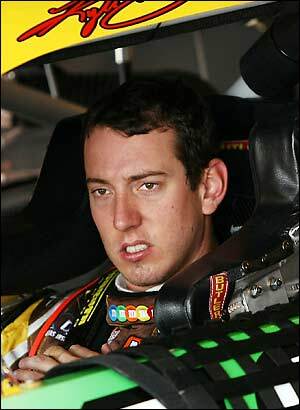 In three starts this season, Busch has now led 493 of 563 laps, and some people are not at all happy about it. You see, in addition to being the all-time leader in career Xfinity Series wins, “Rowdy Busch” is also a full-time competitor in NASCAR’s headline Sprint Cup Series. The defending series champion, in fact. Some people don’t like that. And honestly, some people just don’t like Kyle Busch. So in an effort to balance the competitive scales, a growing chorus of fans and media members are suggesting that Cup drivers be banned – or at least severely restricted – from the Xfinity and Truck Series garages, leaving Victory Lane vacant for younger drivers and less-established teams. Track operators are against the idea, fearing that the absence of Sprint Cup drivers will adversely affect their Saturday ticket sales. Take the star out of the movie, they say, and fewer people will watch the movie. Team owners seem split on the idea. Some would love a chance to race closer to the front of the pack without Busch, Joey Logano and Brad Keselowski to hinder their efforts. Others, however, sell established Cup stars to their sponsors, allowing them to remain in business and field additional cars for those young, up-and-coming talents. Drivers have strong opinions on the topic, as well. Guys like Busch enjoy racing on Saturday afternoons. They enjoy winning, and often use the knowledge gained from their Xfinity Series outings to better prepare for Sunday’s headline Sprint Cup event. Not long ago, drivers were allowed to compete simultaneously for multiple series championships. Kevin Harvick and Carl Edwards won the Nationwide (now Xfinity) title in 2006 and 2007, while also competing full-time in Cup; a practice that prompted NASCAR to put a stop to so-called “double dipping.” But while they are no longer eligible for title consideration, Sprint Cup Series drivers continue to raid the Xfinity and Truck Series vaults, seemingly at will. Despite what you may be hearing, that’s not a new phenomenon. Sprint Cup drivers have competed – and won prolifically – in what is now the NASCAR Xfinity Series for decades. In the 1980s and `90s, the late Dale Earnhardt, Sr., was the man to beat in Busch Series action at Daytona. He won the season opener in 1986, then reeled off five consecutive victories from 1990 through 1994. 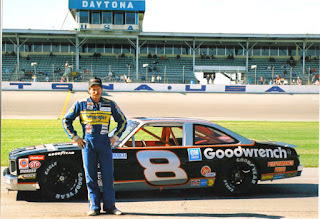 “Big E” actually swept the first two races of the season in `86, following his Daytona win with a checkered flag at Rockingham Speedway the next weekend. More recently, Tony Stewart and Dale Earnhardt, Jr. have dominated Xfinity Series Victory Lane at Daytona. Stewart has seven career Speedweeks Xfinity victories, while Earnhardt, Jr. prevailed in three consecutive seasons; 2002-2004. In all, Earnhardt, Sr. accumulated 21 Busch Series wins in 136 career starts, running between five and 14 events each season from 1982 to 1994. He won at least one Busch Series race in 11 of those 13 years, while simultaneously ranking as the most dominant Cup Series driver of his (or arguably any) era. And somehow, nobody seemed to mind. Maybe that’s because it was Earnhardt. Or perhaps it was because his fellow Winston Cup drivers were diverting fan focus by winning dozens of Busch Series races of their own. Mark Martin’s resume includes 49 Busch Series wins in 236 career starts. He ran at least one (and often as many as 15 or 16) races each season for a couple of decades, while simultaneously ranking as a perennial title contender in the Cup ranks. Harry Gant won 21 times in 128 career Busch starts; also while a full-time Cup driver. “Handsome Harry” padded his schedule with 13-17 Busch races each season (roughly half the annual schedule) from 1987 to 1994, without ever drawing the ire of the grandstand faithful. Cup Series invaders like Kevin Harvick, Brad Keselowski, Jamie McMurray, Matt Kenseth, Greg Biffle, Jeff Burton, Joe Nemechek, Terry Labonte, Geoff Bodine, Michael Waltrip and Bobby Allison have all purloined Xfinity Series purses over the years, without ever seeming to tick anyone off. I get it. Kyle Busch wins a lot. His 25.2% Xfinity Series winning percentage is far better than that of Earnhardt Sr. (15.4%), Martin (20.8%) or Gant (16.4). Waltrip and Earnhardt are already enshrined in the NASCAR Hall Of Fame, with both Martin and Gant sure to join them in due time. This is not a “Cup drivers in the Xfinity Series” problem. It is a “Kyle Busch problem,” as evidenced by the fact that nobody complains when Austin Dillon or Landon Cassill double-dip in NASCAR’s secondary series. Apparently, Sprint Cup drivers competing in the Xfinity Series is acceptable to the vast majority of NASCAR fans. Winning, however, must be done sparingly, lest we grow tired of your success. Solutions to this problem are difficult to pinpoint, and even more difficult to implement. Cup drivers competing in the Xfinity Series is acceptable to the vast majority of NASCAR fans. Winning, however, must be done sparingly, lest we grow tired of your success. Limiting the number of lower-division starts a Sprint Cup driver can make may not have the desired effect. Joe Gibbs is a savvy team owner, and if Busch is allowed to run only 10 Xfinity Series races next season, Gibbs will almost certainly slide Denny Hamlin or Matt Kenseth into the seat, in his place. JGR will continue to run the entire Nationwide schedule, they will continue to win more races than they lose, and fans will continue to bemoan the fact that the Xfinity Series regulars can’t keep up. Handicapping Cup drivers – technologically or through procedural means – goes against the spirit of fair play and sportsmanship. Every competitor deserves to have the rules fairly and evenly applied, and “different rules for different players” crosses the line between sport and hucksterism. Banning owners like Gibbs, Richard Childress and Roger Penske from the Xfinity Series garage seems short-sighted, as well. They have pumped years of hard work and millions of dollars into the series, and deserve better than to be sent packing, simply for being too good at what they do. We also cannot afford to remove a half-dozen of the most competitive cars from the starting grid. The Xfinity Series is much more than the motorized equivalent of AAA baseball. It is North America’s No. Two form of motorsport, ahead of IndyCar, NHRA, IHRA, IMSA Sports Cars and SCCA. Its in-person attendance and television ratings are the envy of every motorsports entity this side of Sprint Cup, and those who see it as nothing more than “Cup Lite” are simply not paying attention. The people entrusted with charting the future of the Xfinity Series have important decisions to make in the months to come. Job One in that process is to determine whether there really is a problem, and if so, what the specific problem is. “Kyle Busch wins too much” is not an issue that needs addressing. Great drivers and great teams win races. Lots and lots of races. That’s what they’re paid to do, and stinking up the show with a dominant performance like Busch delivered Saturday in Phoenix should be applauded, not outlawed. 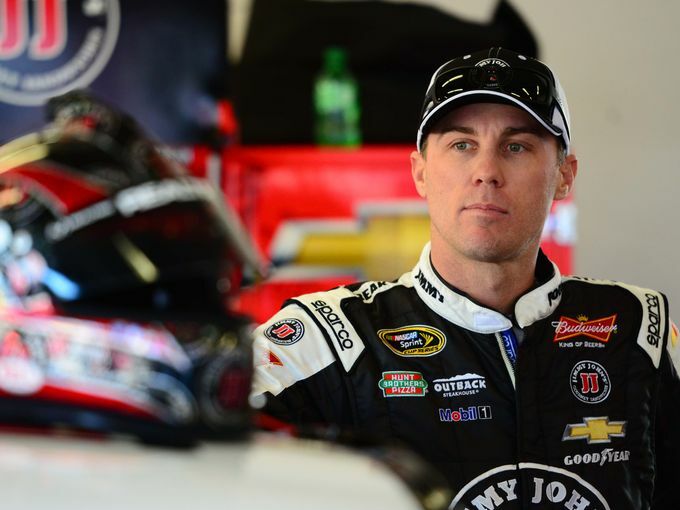 Just for the record: Kevin Harvick is not leaving Stewart-Haas Racing when the team converts to Ford in 2017. Since SHR announced plans to swap manufacturers at season’s end, speculation has run rampant in some quarters that the 2014 NASCAR Sprint Cup Series champion might abandon his championship-winning team to remain in the Chevrolet camp. Harvick put that speculation to rest,once and for all today, saying that his current situation is too good to walk away from. Harvick has been a Chevy man throughout his Sprint Cup Series career, in large part because the two organizations for which he has raced – Richard Childress Racing and SHR – were Chevrolet teams. Had Harvick gotten the call from Roush Fenway Racing in 2001, rather than RCR, there is every likelihood that he would have driven Fords at that time. And now, he shows no indication of abandoning a Stewart Haas Racing team that took him from occasional race winner to perennial championship contender. “I got a great team, I’ve got great people, I’ve got a great organization that’s wanting to win races,” said Harvick today. “To not be committed to them would be foolish on my part." Kevin Harvick is no fool.